To celebrate the release of the forthcoming album Key to a Thousand Doors, Paralex have commissioned a special one-off beer called ‘Paralyzed’. The beer, a 7.4% ABV American Double IPA brewed by John at the superb North Riding Brewpub whilst listening to Slayer, Slipknot and Sabbath, will have the strength of a herd of stampeding wildebeest trying to avoid a bunch of ravenous crocodiles and will be limited to only 6 casks (about 400 pints) and 72 bottles. It will be best drunk listening to metal played at maximum volume in a de-tuned drop C, but beware – drinking too much of this brew will cause your ears to bleed, your brain explode and your nob to fall off. Probably. 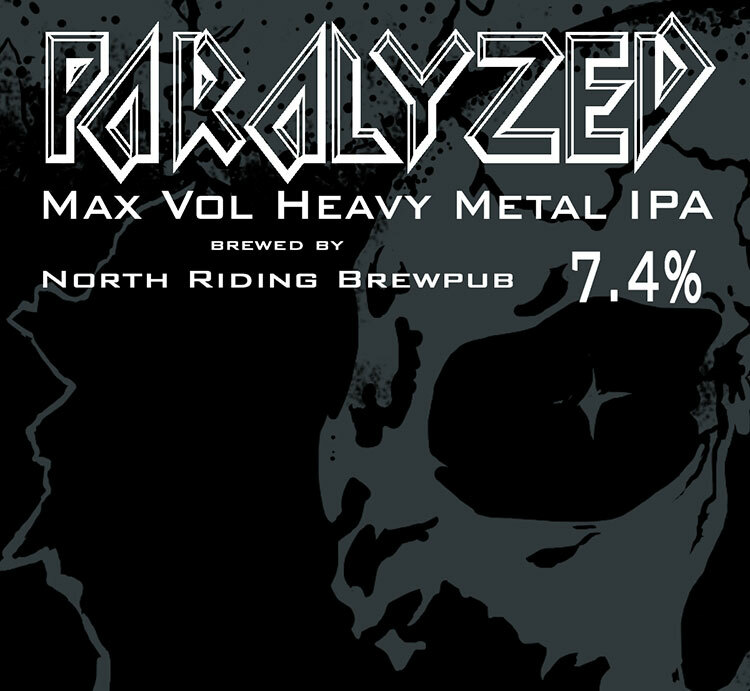 Paralyzed ‘Max Vol Heavy Metal IPA’ will be available at only three or four exclusive outlets from early March, so stay posted to find out where you can try it.